my pom pom tree! I have been very restrained this year but when I saw this garland at bybjor there was hesitation at all! 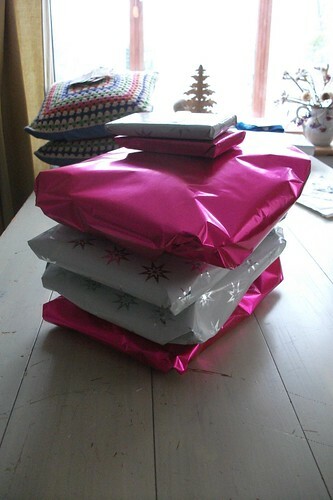 wrapped presents, ready to send and now sent, phew! 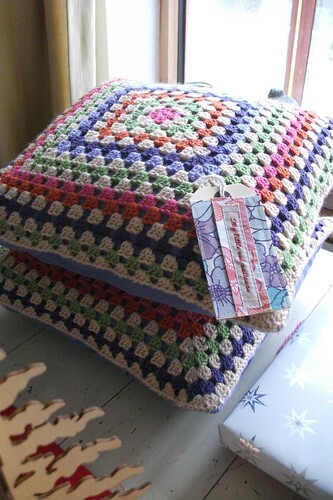 and two new cushions for two special girls and new labels! last first class post tomorrow for christmas! Doggy Christmas cards are the sweetest. Your happy things made me happy. We must be hue sisters because I love the bright colors of your pom-poms, packages and pillows! Such a cute pom pom tree. Liked the 3D version of the tree. Is it made from paper? no it's cut out plywood, very cheap and cheerful from Wilkinsons! your tree is adorable and the tags on your lovely cushions are so gorgeous!!! That pom pom is ADORABLE! I simply LOVE those cushions! There's always room for happy things right? 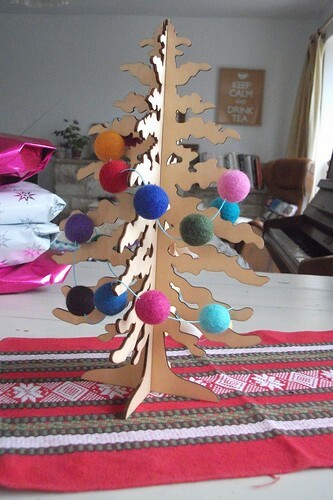 I love the pom poms on the little tree... I am just in love with pom poms lately, everyone seems to be stringing them about... I must have a go at that! Those are ace cushions. 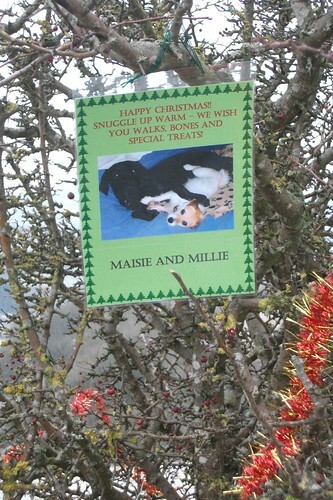 Looking forward to seeing the dog walker tree in all it's glory, I think that's such a lovely idea. Love your new labels, they look fabulous! And that doggy tree is just too cute!! Your cushions are so pretty. And I love your labels, it makes everything look very professional. It's always such a relief to get the last things to the post office.